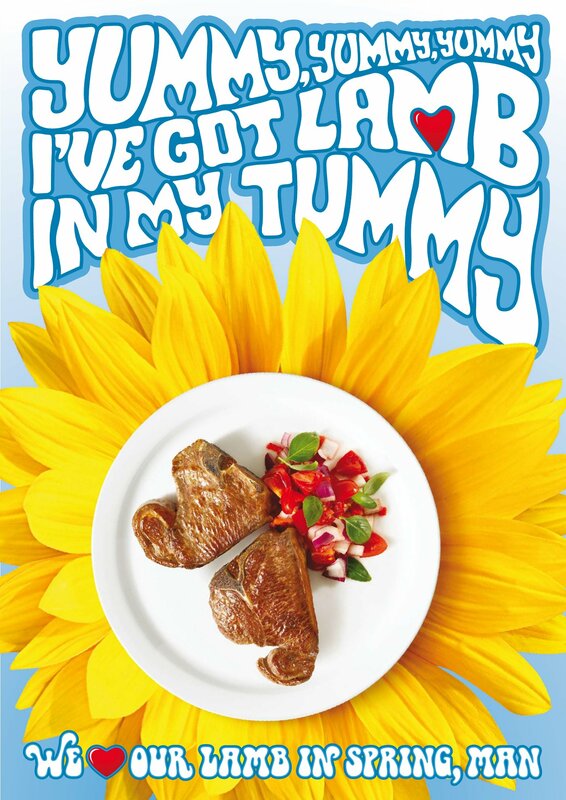 Meat and Livestock Australia has launched a new advertising campaign, “We love our Lamb in Spring, man”, to mark the arrival of Spring. 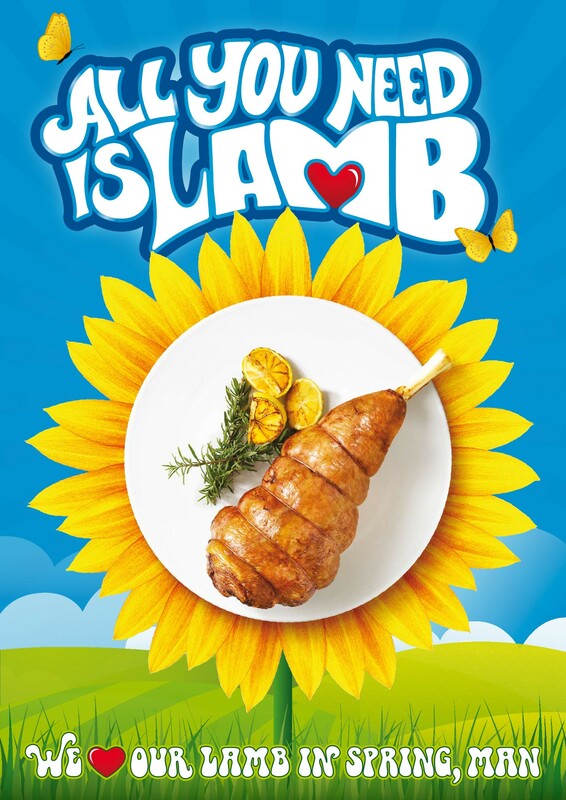 Lambstock, the new advert, online at The Main Meal, is supported by print, point of sale posters, outdoor, brand activation and online advertising. The 45-second commercial shows hippies at a music festival gathering around for a Spring lamb barbecue, wrapping their meat as if they were rolling a joint. The original Woodstock Festival, held in August 15-18 1969, would have been held in Fall rather than Spring. Music is the iconic 1960s track, “Turn, Turn, Turn”, the Ecclesiastes text put to music by Pete Seeger and popularised by The Byrds and The Seekers. “I think the original Woodstock would have been even better if they’d had plenty of lamb barbies. Lamb is about togetherness and being a little free spirited, this ad captures the vibe we want for lamb perfectly,” said Warren Brown, BMF executive creative director. 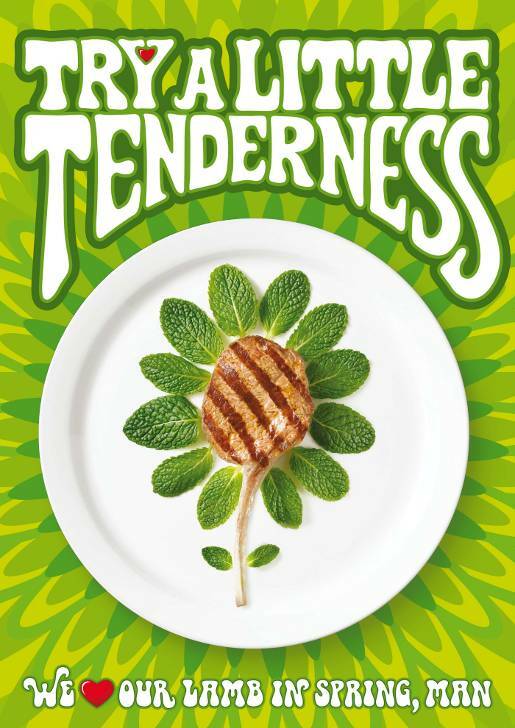 Three posters tie the Spring lamb campaign in with songs from the late 1960s: All You Need is Love (The Beatles), Try A Little Kindness (Glen Campbell), and Yummy Yummy Yummy (Ohio Express). The Lamb in Spring campaign was developed at BMF Sydney by executive creative director Warren Brown, associate creative director Dennis Koutoulogenis, art director Jake Rusznyak, account managers David Flanagan, Rebecca Booth, Louise Mawer, strategic planner Gerry Cyron and agency producer Jenny-Lee Archer. Filming for Lambstock was shot by director David Denneen via Filmgraphics with producer Anna Fawcett, editor Toby Denneen and director of photography Matt Stewart. Post Production was done at The Lab, Sydney. Music was produced by Song Zu, Sydney. The print campaign was produced by Michele Zupanov and Clinton Bell, with designers Steve Hanzic and Stuart Flynn. Media was handled by Universal McCann.